Our world is frequently changing. Bold curiosity are the traits of those who always search and explore new ways and solutions, for a design that does not follow trends, but sets them. Our concepts are spoken through forms and refined aesthetic solutions. It starts from the vigilant selection of modern materials and colors to realize modular, flexible and personalized solutions. Each of our projects is the result of this approach, combined with a deep respect for the environment. Incorporation of functional elements that reduces the material, amplify the space and echo the emotions. This program is characterized by customized proposals and care for details, planned with sophisticated technologies and finished off by the acquired skills of master craftsmen. All made in Italy. HI PEDINI is the new smart home project that brings together Pedini‘s refined design, Microsoft‘s smart technology and IoMote‘s innovation in a kitchen 4.0. A dynamic space, a place where international design can meet up, an open window on current trends for architecture: that’s our flagship store PediniBrera, Milan. The showroom highlights some of the most elegant creations for kitchen, living room and bathroom by the company, and the latest Hi Pedini system, developed thanks to the collaboration with Microsoft and Iomote. Our home is your home, you can visit us in the authorized Pedini showrooms to see first hand the Pedini proposals, appreciate the fine details, and stimulate new ideas and solutions for your projects. Your kitchen is a perfect machine and a major investment. There you spend your time at least three times a day, and for many years: that’s why, confident of the high quality that distinguishes us, we are happy to offer all our customers a formula guaranteed 2 + 8 years. 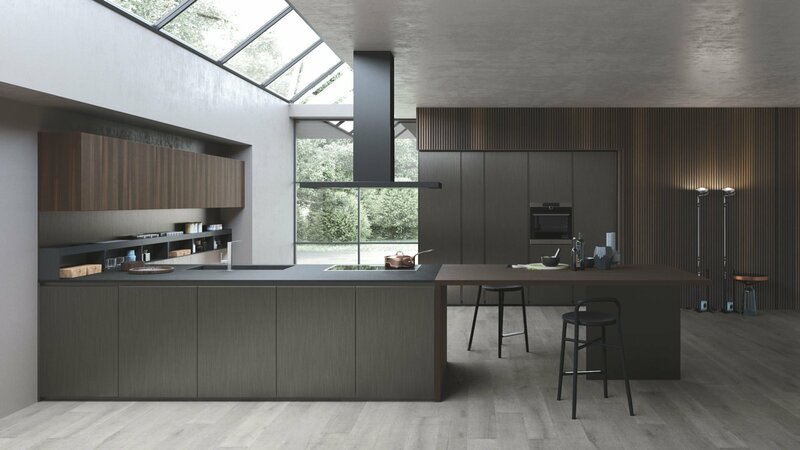 From the date of delivery, for 2 years your Pedini kitchen is free from any drawback of manufacture or assembly. We offer you the possibility to extend such a guarantee for another 8 years, returning to the company the coupon duly completed and within 30 days from the installation of your kitchen. Thanks to our long-standing experience in design we can manufacture kitchens, bathrooms and living upon any request, delivery time and budget, both for private customers and for multi-units worldwide. From design to logistics, from production to post-sales service: for every project we guarantee the highest level of quality satisfying even the most demanding customer.